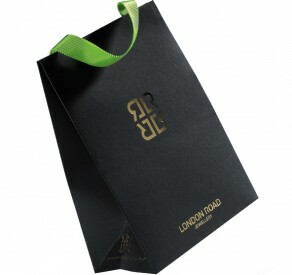 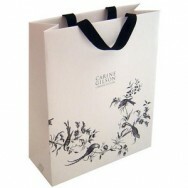 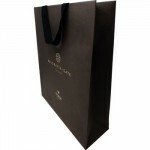 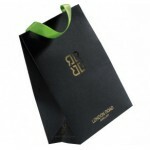 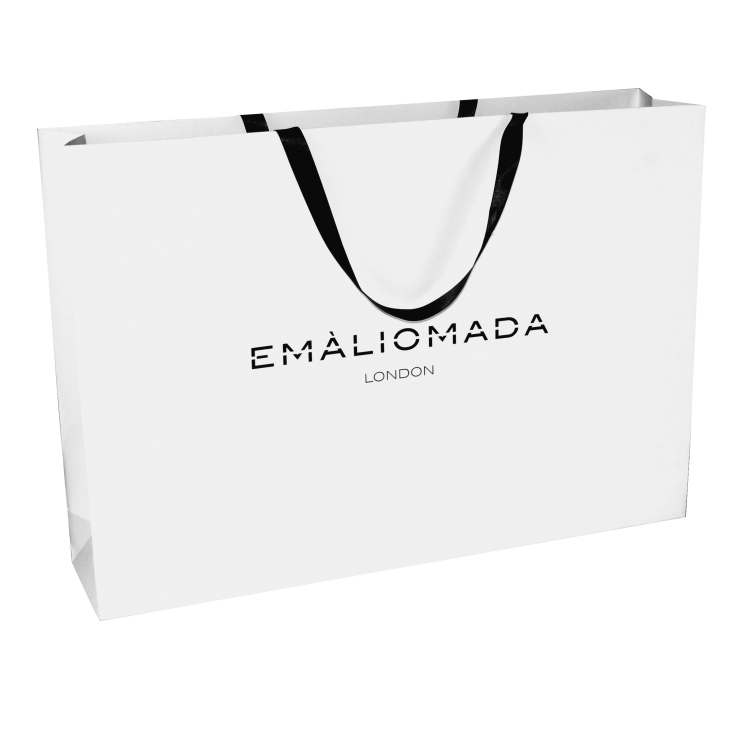 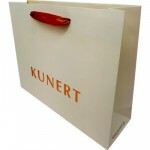 Bespoke Ribbon Handle Bags are a luxury packaging option that are guaranteed to impress your clients. 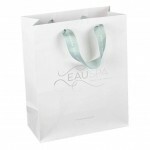 Ribbons are a professional addition to your high end packaging piece and add another statement to ensure your clients are happy. 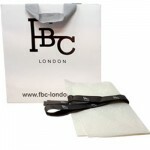 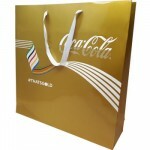 Branded Ribbon Handle Bags are perfect for events, exhibitions or for products and department stores. 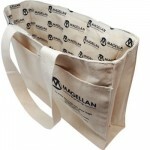 Magellan World offer a wide range of customisable options for your branded ribbon handle bags including: embossing, gloss/matt lamination, hot foil, inside printing and many more. 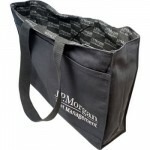 This professional presentation bag has black ribbon handles.